Right after I researched about the interesting Lakeway Water Softener System. I felt hungry and I have noticed that it is already 11 in the morning. I don't have breakfast yet except a mug of coffee I have right after I woke up. I told myself that I need to eat something. 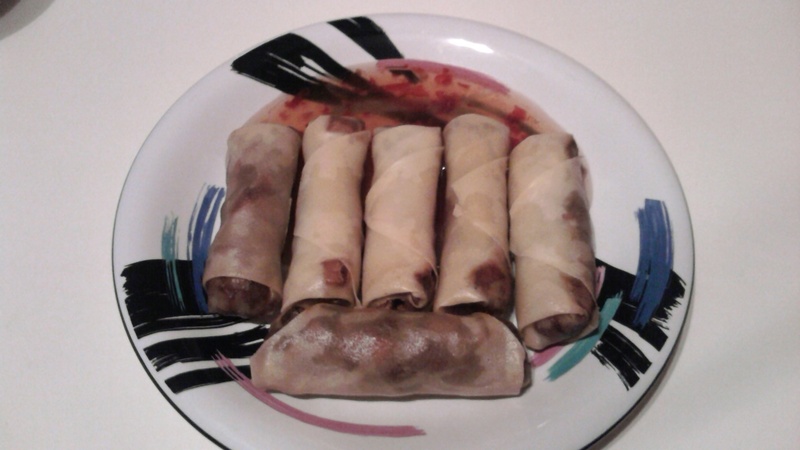 I remember, I made spring roll last December for Christmas. Since there were many of them I decided to save some. That way when I need to eat I could just grab one in the freezer. So here I am enjoying the fruit of my labor. I wanted to make more and just put them in the freezer however I have to buy a spring roll wrapper to the Asian Store. For I love their wrapper than the one we have in our local store here. Can you see the beauty of the outcome? I would like to have it always that way.